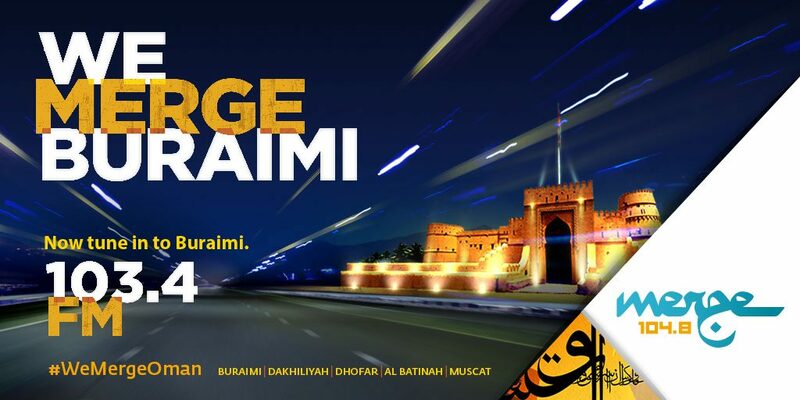 As part of our commitment to merge all Governorates of Oman, we have expanded coverage of Merge FM into one more Governorate, Buraimi on 103.4 FM following our expansion into Dhofar and Dakhilyah in June this year. Your radio advertising campaigns can NOW reach a total of 3.3 million people – 80% of the Sultanate’s population. With Merge FM’s powerful coverage of all of the Wilayats of Muscat, Al Batinah, Dhofar, Dakhiliyah and Buraimi, advertisers are more empowered to spread their messages even further. Merge FM actively caters to the people of these vibrant Governorates with an incredible mix of multicultural music and programs. Our listeners can enjoy the freshest tunes, news and entertainment, all their favorite hits, on the road, at home, at work, and at play, with the latest sounds from around the world, delivered wherever they go with a local flavor and style.